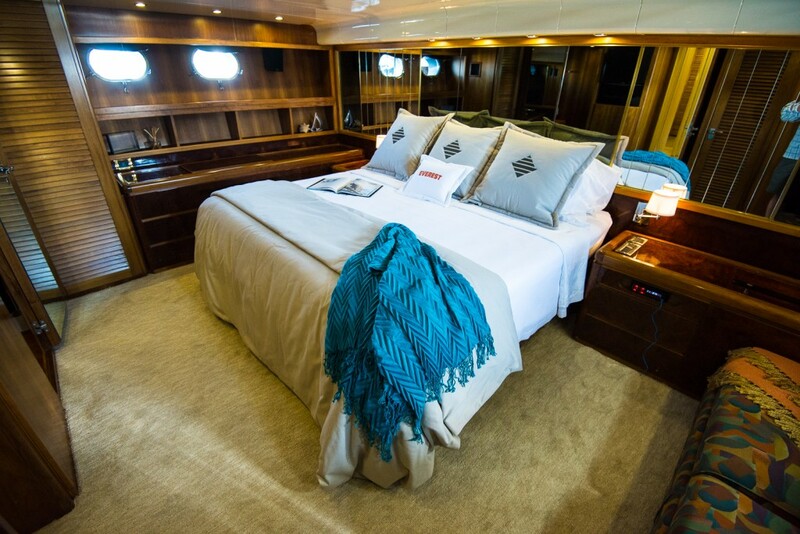 Everest can accommodate up to 8 guests in four staterooms, each with their own private head. The Main Salon Here you will find a spacious seating area with a new flat screen TV, formal dining table, and wet bar with wine refrigerator-prefect for entertaining. 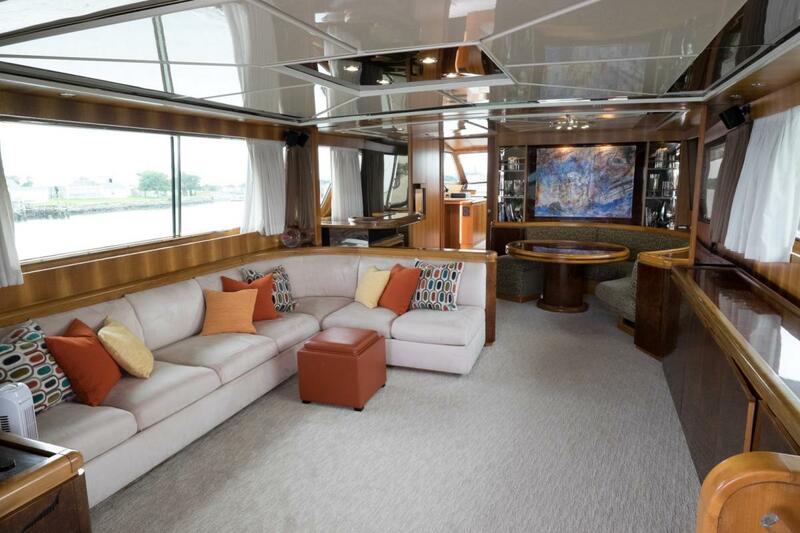 Adjacent to the Salon is our fully equipped, modern galley that you may use just as if it were your own. 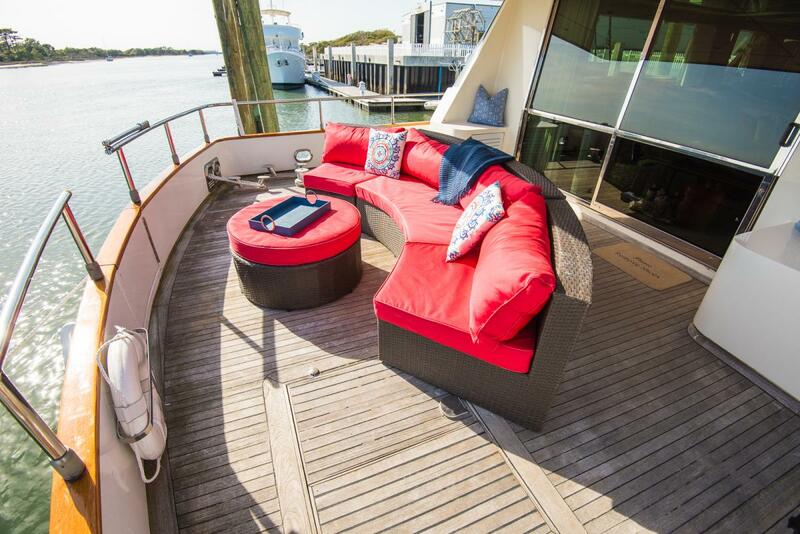 The Upper Decks You won’t want to miss out on the spectacular views from the aft deck, fly bridge, and sun bathing area on the fore deck. 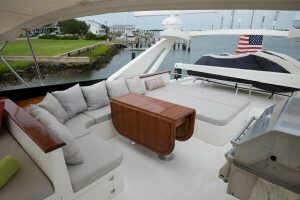 You will also find a large grill, dining area, and mini-fridge on the fly bridge. While there are many great restaurants nearby, none offer beautiful 360° views while dining on your own gourmet cuisine that you have prepared aboard. The Master Suite The Master suite features a walk around king sized bed, flat screen TV, settee, vanity, and ensuite head. In the Master suite, you will find yourself resting peacefully after an eventful day in our recently designed custom linens. The VIP Suite The VIP suite also has an ensuite head with a custom glass shower, glass tile walls, and marble flooring. The vanity includes a sleek, modern design. Here, you will feel as if you are in your own oasis as this suite is tucked away at the aft of the yacht. This is often the stateroom of request by many and often the favorite! The Double Cabin The Double cabin features recently designed, custom linens and a modern, updated head. The Twin Cabin The Twin cabin also features recently designed, custom linens and a modern, updated head. Cancellation Policy:If you cancel 30 days out, you will receive a full refund of your deposit. While you stay in Beaufort aboard Everest be sure to consult with the Captain and crew to assure that you are maximizing your stay. 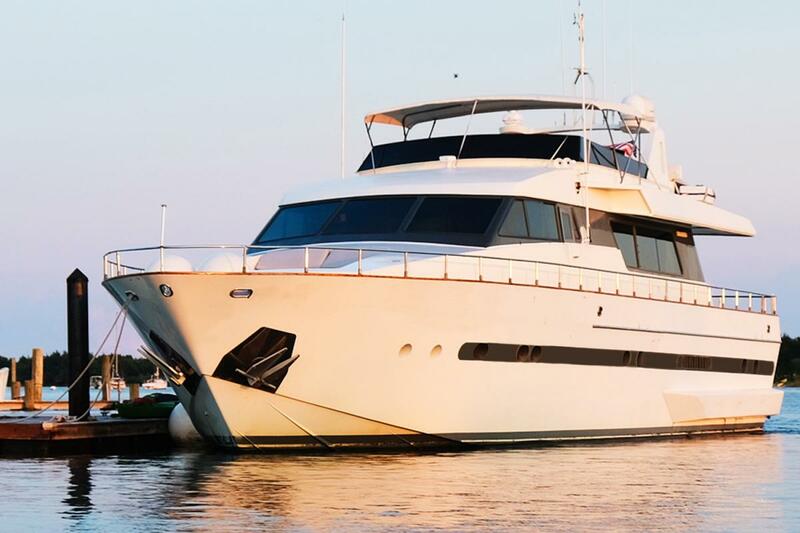 You may find yourself sailing to Cape Lookout lighthouse, cruising down Taylor Creek, and/or enjoying many of the other pleasures that Beaufort has to offer. Remember, we are the coolest small town in America! There is public transit offered in Beaufort for $1 per day along the Front Street Village Trolley. You will likely find that you can get anywhere you need on foot or by kayak. Staying aboard Everest includes the free use of 2 kayaks, 2 bicycles, snorkel gear, and some floaties.